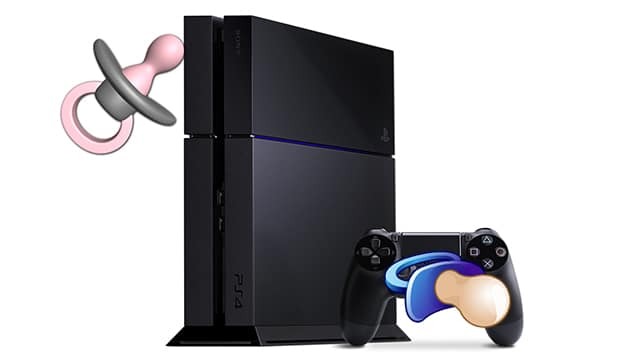 Is Sony taking the console war as serious as their PS4 fans are? Are they now using Samsung’s marketing department? 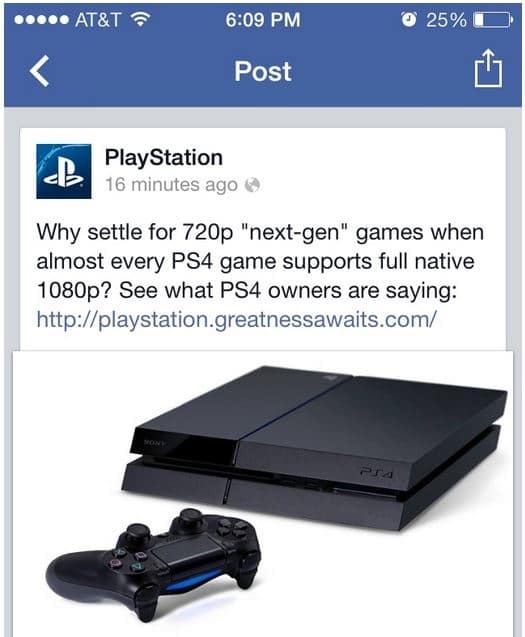 Sony mocked the Xbox One on their official PlayStation Facebook page. The company posted a status mocking the Xbox One as if the console only play games on 720p resolution, while the PS4 plays it at 1080p. The status reads “Why settle for 720p “next-gen” games when almost every PS4 game support full native 1080p?” Then pointing readers to their official PS4 website. Microsoft handled the PS4 released differently. The company congratulated Sony on the PS4 released on their Twitter account.